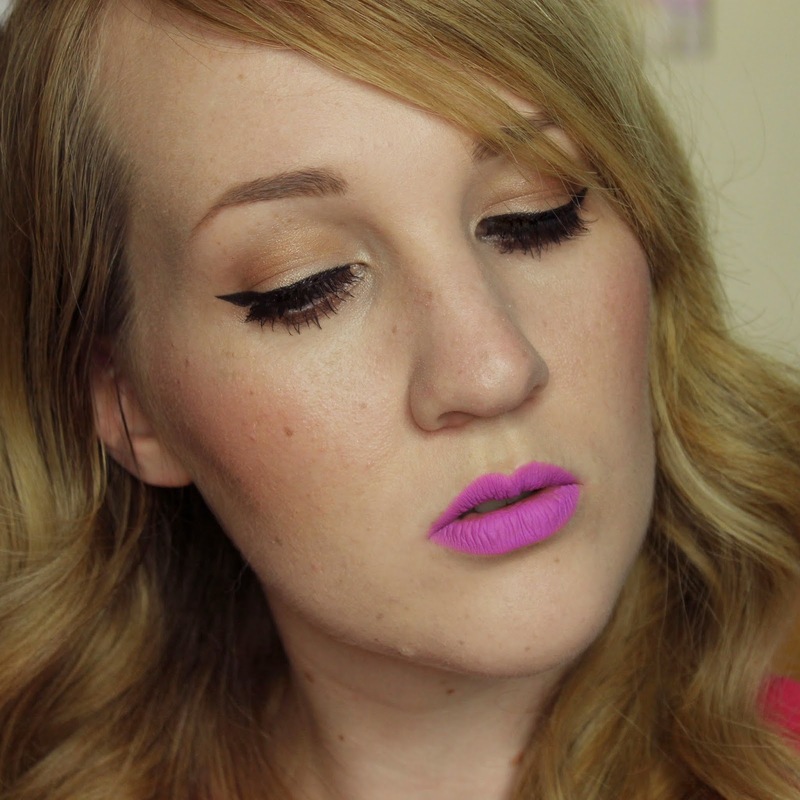 I have a really cool lip colour to show you today! 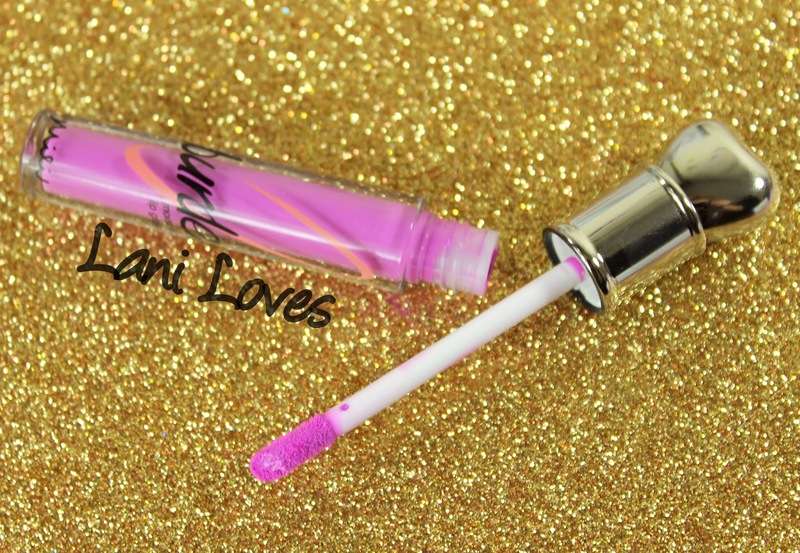 Miei O Burden Moisturizing Lipgloss is a budget friendly liquid matte lipstick that nails the bright, matte lips many have been rocking of late, but is it any good? The packaging for this lipstick (because product name aside, it's not a lipgloss. Not in the slightest.) is plastic and lightweight but not dinky. There's a cute wee heart on the cap which provided a good grip for steady application. The applicator itself is a doe foot which feels soft and distributes the product fairly well. 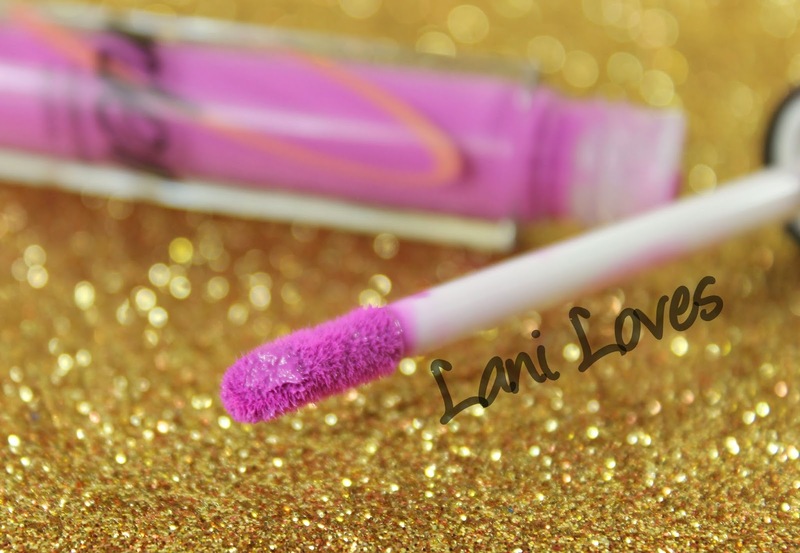 Oddly, when I was putting the lipstick on I could feel the plastic tip of the wand pressing through the sponge of the doe foot, which isn't something I've ever experienced before. It wasn't uncomfortable, just a bit odd. 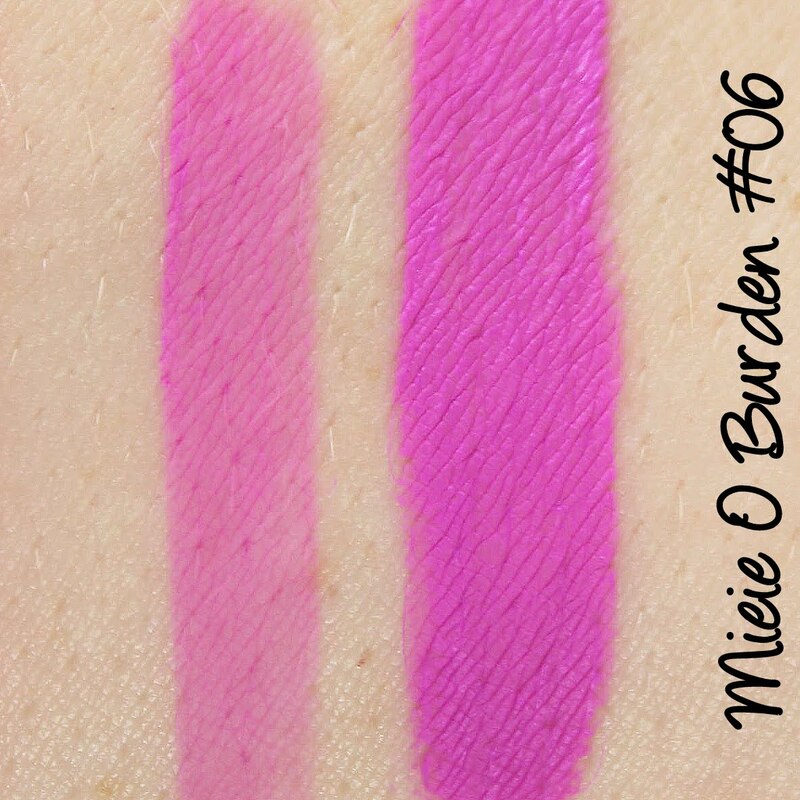 I received shade #6, which on the Born Pretty Store page looks like a warm dark orchid with red leanings. In reality it's a near neon electric purple. 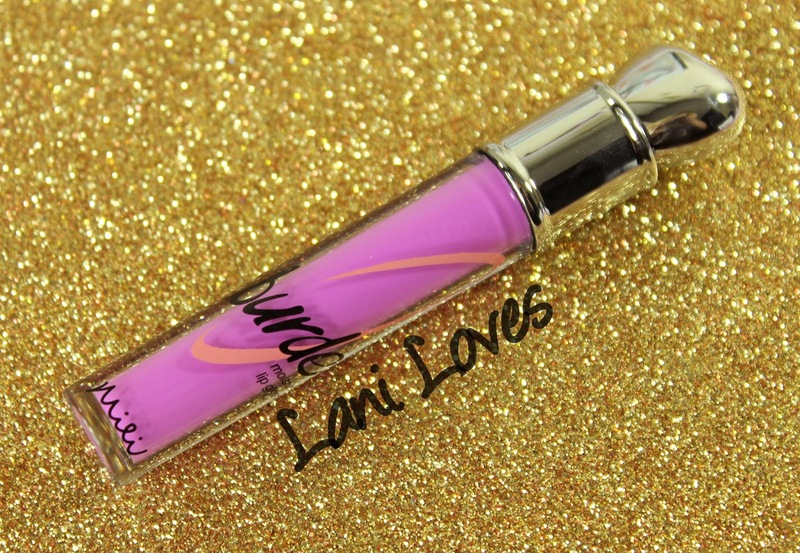 It reminds me a bit of Lime Crime Airborne Unicorn just in how bright it is, but Airborne Unicorn is much bluer - Too Faced Melted Violet is darker and more purple, but the undertones are the same. Of course neither of those shades are liquid mattes, so they would all look very different applied anyway (Let me know if you'd like a proper comparison though!). #6 is sheerer than most liquid to matte formulas I've tried and needed to be built up to reach full opacity, which you can see in the arm swatch. Unfortunately, the texture didn't respond terribly well to being built up, despite my waiting for the first layer to dry completely before beginning the second and up close it looks cakey, emphasizing the lines of my lips so that you could mistake them for neon violet raisins. Which would be damn pretty raisins, but probably not the kind of comparison you want near your lips. From normal viewing distance the texture isn't nearly as apparent and it doesn't feel thick on your lips. 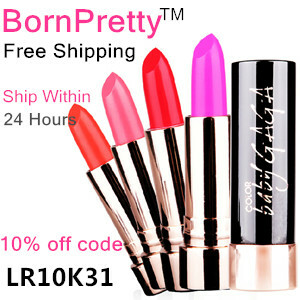 Rather the lipstick feels cool, smooth and powdery, as if you've just eaten a powdered donut and haven't yet wiped your mouth. I really need to mention the scent, because I know it's a dealbreaker for many. I'm not sensitive to scents in cosmetics most of the time, but this lipstick managed to offend even my uncultured nose with a distinctly soapy dishwashing liquid odour. It's very strong initially - it was all I could smell and think about it for the few minutes of wear! But after ten minutes I realised I could no longer smell it at all, so that was a relief. The wear time for this lipstick was really good, lasting for eight hours without being drying (nor was it moisturising, as the product's name would imply). There was a bit of fading in the center of my lips toward the final two hours, but that was really it. I wish the opacity and scent of this lipstick were better, because I really, really adore the colour! 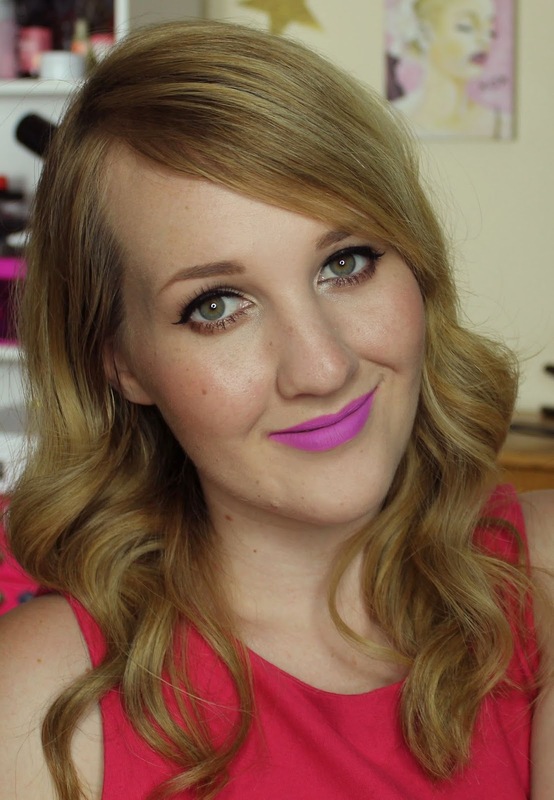 What do you think of this lip colour? I quite like the colour but the texture makes this a no for me, I think. I just cant handle dry lips. It's a stunning colour! But the texture is a bit of a dealbreaker.